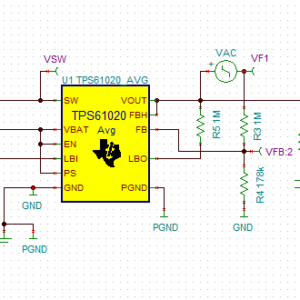 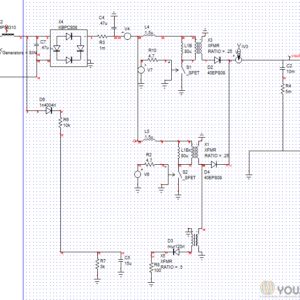 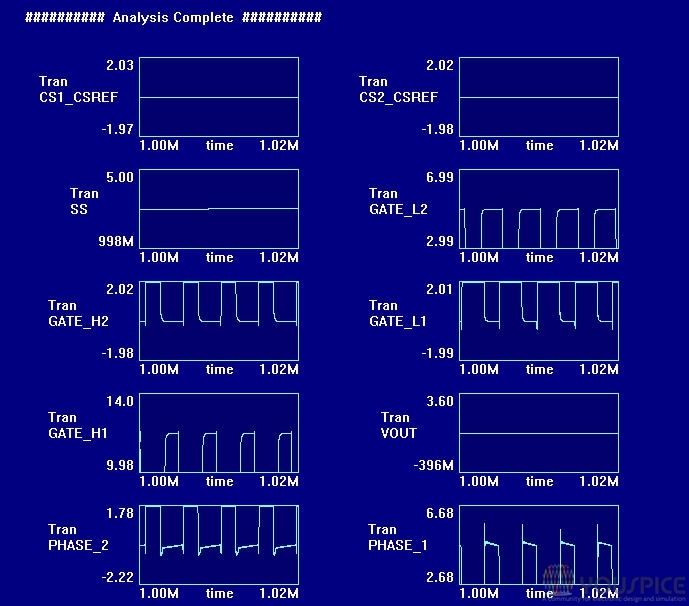 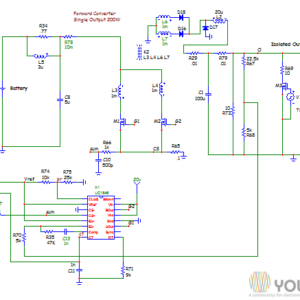 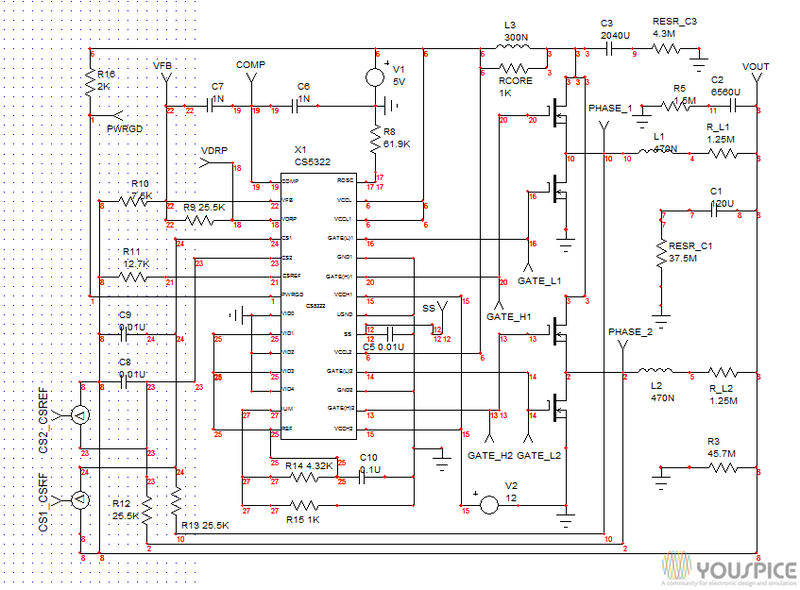 SPICE simulation of the CS5322, two-phase buck controller for powering high perfomance and high current power supplies. 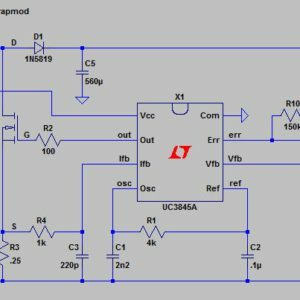 The low input current and output voltage ripple allow a reduction in inductor value and increase the inductor current slew rate. 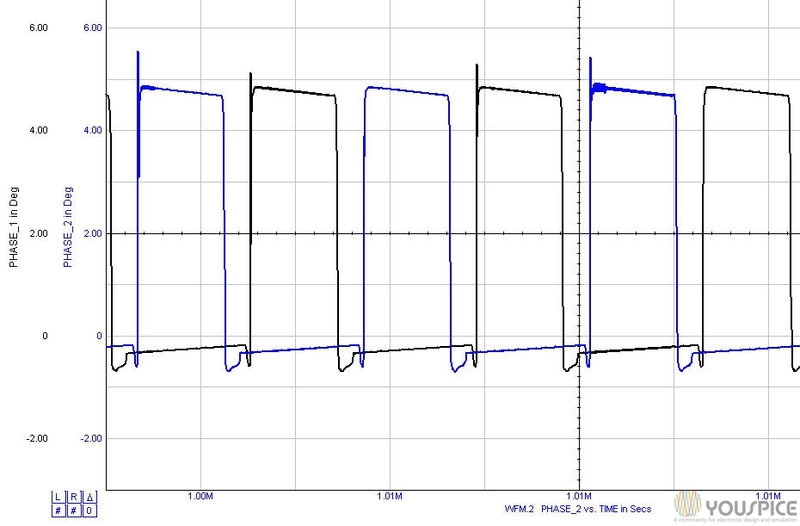 5V to 1.6V. 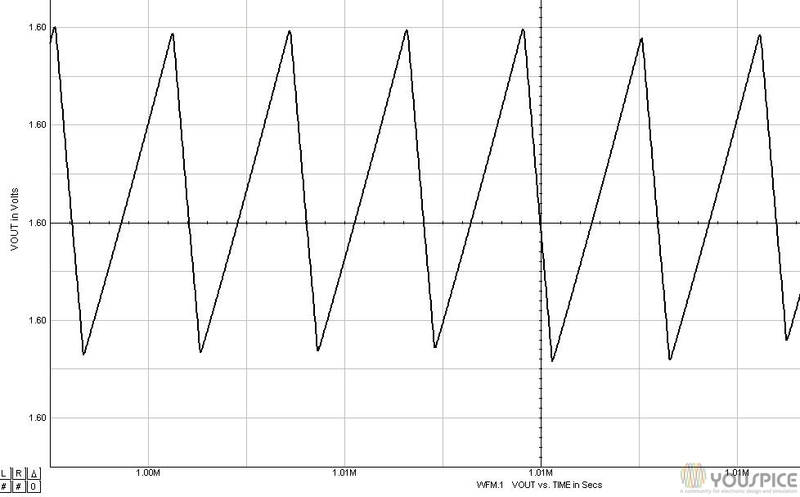 The operation frequency can be set by a resistor from 200 khz to 800 khz.